Budget living it up in Oregon. I've made the above cookies countless times and it has taken me all of five minutes not including the time in the oven. I suppose there's an ongoing theme in the budget cookbooks I've chosen- most are these sort of simplified or "at home" versions of fancier/ less budget friendly books by the same chefs. 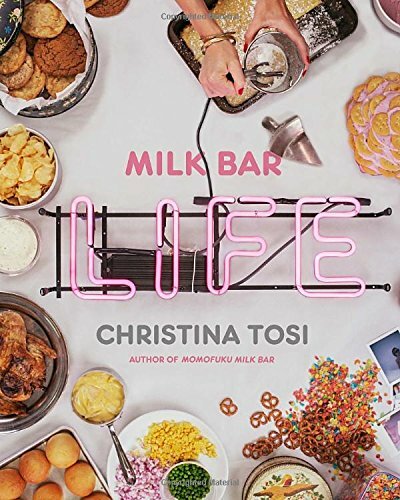 This one's title explains exactly the point: This is how Christina Tosi lives. This is the stuff she actually cooks when she's at home and exhausted after work, when she wants to entertain, on a weekend off, for a bbq, etc. She has an entire section devoted to what she does for an ideal "girls night". I tend to be the girls night host amongst my friends as well so this was of course my favorite part. In a nutshell: Get you this book! I mean, look at that cover. You want to eat that food? I don't blame you. Tim made Bayless' pork chili verde and it was insanely good. This is a budget cookbook review so here's the cost breakdown: He bought a pork loin for $8 but only used half, bought tomatillos, serano and poblano from the Mexican Market for about $3 plus some garlic and onions for maybe $4. This fed us for literally days. 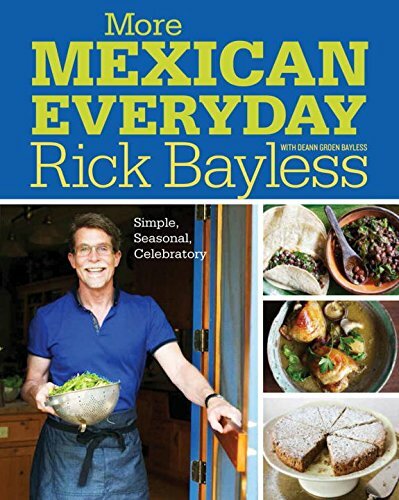 There are tons of recipes for legit Mexican food in Bayless' book and almost all of them are inexpensive and healthy. You could easily eat Mexican food every day with this book.